If I said Covent Garden to you there’s likely you would think one of two things (most probably based on living in London at some point or not) you might think amazing hub of buzzing London filled with cute shops and street performances or the more cynical of you might think crowded tourist trap. 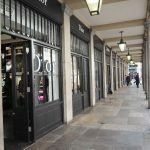 But slowly but surely over the past few months or so Covent Garden has transformed into something I would have never predicted – but it is now quite the little hub for a beauty junkie to do some shopping. 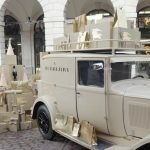 If I was to pinpoint the moment it all began to happen it would have to be when the Burberry Beauty Box opened – a dedicated beauty store (with a few accessories too) all for Burberry. There’s not another store like it. Then there’s Chanel and Dior right alongside. All dedicated to beauty. Am I already in beauty spree nirvana?! Maybe. But there’s more. Most recently the Bobbi Brown and Clinique stores have opened over on the side of the square near the Opera House. Plus Urban Decay’s first UK dedicated store on the other side of the square (on the road you could take if heading back towards Leicester Square). I had a good explore of this just last week and it’s fab – make sure you visit the basement part if you stop by. There’s a fab photo booth to capture your UD make-over in. Photos courtesy of ZOE who was lovely enough to come down & support me on the day at Beauty Live. I’ve always been a bit of a sucker for Covent Garden. The crowds and the buzz are all part of the fun and it reminds me of my first ever trips to London when I was younger when I would get far to excited to head to the market stalls to spend my pocket money. Only difference now is I’m spending a little more than I used to on beauty bits…still just as excited though! I actually also wrote a piece about beauty shopping in Covent Garden for Groupon where you can read a bit about some of my top picks for the stores. There are so many to choose from (and I’m just talking beauty, don’t even get me started on other stores). It’s hard to narrow down! 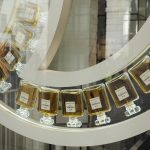 L’Occitane has always been a weakness of mine – it’s worth visiting the store and heading downstairs as they have little hand massage stations and treatment rooms in the back. Plus there’s just so many products to shop that can be easily missed if you stay street level! Penhaligons is also a must-visit. It’s got a really quirky vintage feel to it and so many fragrances to sniff. The gin and tonic one is a favourite of mine. 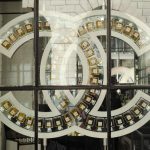 Tell me, are you a fan of Covent Garden as a beauty shopping destination or even just to visit in general! If you’re heading there for last moment Christmas shopping or over the festive break have a fab time. Let me know which shops you check out! Post & participation in Beauty Live sponsored by Covent Garden. Covent Garden has always been one of my fav places to visit and I haven’t been to London for 2 years and it looks like it has changed lots. I can’t wait to visit soon. How exciting! I wish we had something like that in SF. Stunning photographs, I especially love Burberry’s display. I’m a new follower of your and cannot wait to see what posts you have for next year! Covent Garden is really an amazing place. Your photographs have perfectly recreated the atmosphere of this place.